Opis: Presenting a sleek needle-like profile the magnificent spiral galaxy NGC 4565 is viewed edge-on from planet Earth. Its core of stars bulges from the centre of a thin disk of spiral arms and dust. The core appears to be cut sharply by dust lanes to dramatic effect in this composite image. 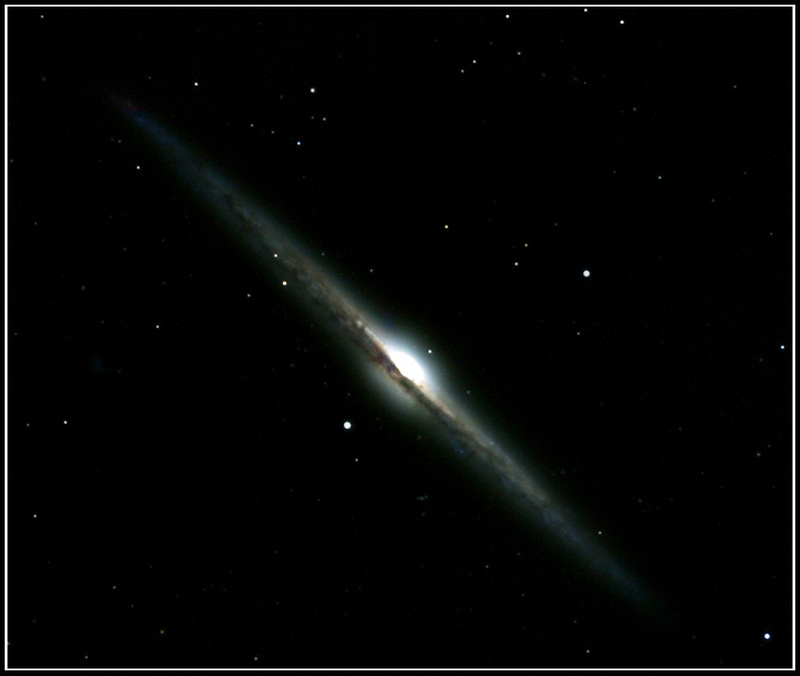 NGC 4565's obscuring dust lanes and pronounced core are typical of large majestic spiral galaxies, including our own Milky Way. To make this picture, astronomer Bill McLaughlin digitally combined a high quality black and white image with colour information from three separate exposures through red, green, and blue filters. This island universe is about 50 million light-years away in the constellation Coma Berenices.